My regular readers would also know, that I'm a sucker for heritage hotels. Getting to stay in a building, built centuries or decades ago, makes any trip more special by several folds. Being added to my list now is Prinsenhof Hotel in Brugge. This was built in 1930. Originally this building and its 3 neighbours together formed one huge property with a humongous garden! However it was later split into 5 and sold to various people. 2 of those are where Prinsenhof stands today. The current facade is a 1930s mansion. It was converted to a hotel in 1986 with 16 rooms in 1 of those 2 buildings, the other still served as the owners' private property. Later in 2011, the 2nd part which was their private residence was merged into the hotel making the number of rooms 24. I had a hearty chat with Mr.Thierry, the current owner, not just about the hotel and travel, but also about being a parent!!!!! He's actually one of the most down to earth persons I've met!!! I was more than delighted when I saw a little crib for Atyudarini as soon as I entered the room. Guess what??? Atyu slept!!!!! She slept comfortably in her own crib and I really couldn't believe it! 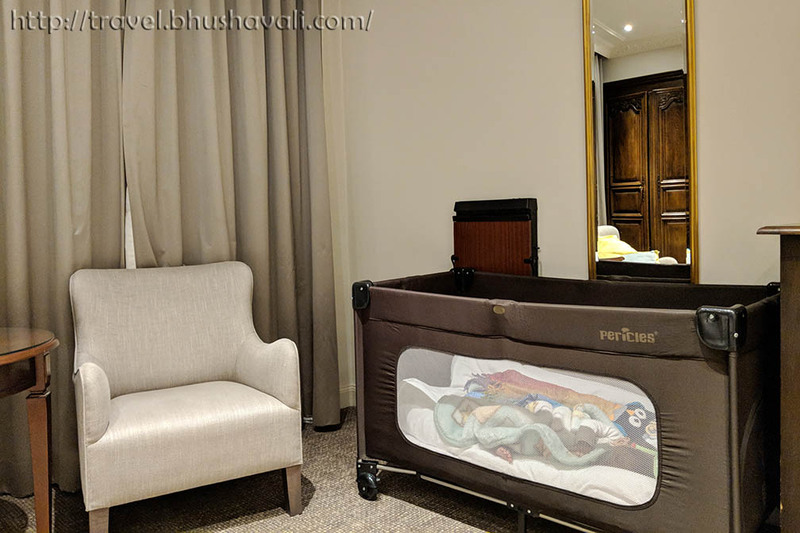 Even before checking-in, I was mentally prepared to head back to Brussels that night itself, if things go horribly wrong and Atyu wouldn't stop crying in a new place, in a hotel.... But my fears were proven wrong!!! 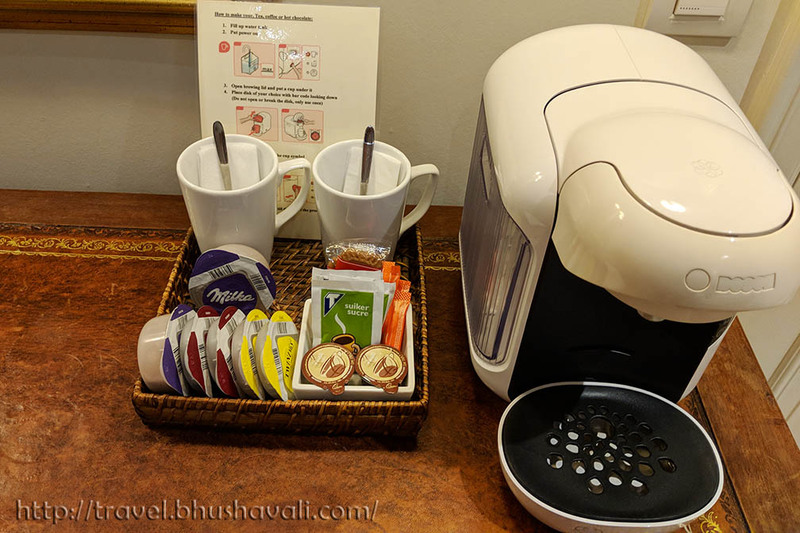 Small little personalizations were what took this hotel to another level altogether - What I particularly loved was, every night, a small chit was left at the door of all rooms, mentioning the weather forecast of next day! As soon as you check-in you'll see a small letter from the owners to every guest. The wifi password is personalized as well, to every guest. A book in the room explains how the shower, tub & jacuzzi work (I'm not kidding, but with the variety in plumbing solutions these days, operating a tap isn't same everywhere! There have been instances when I called up reception of hotels to ask how the shower works!!!). 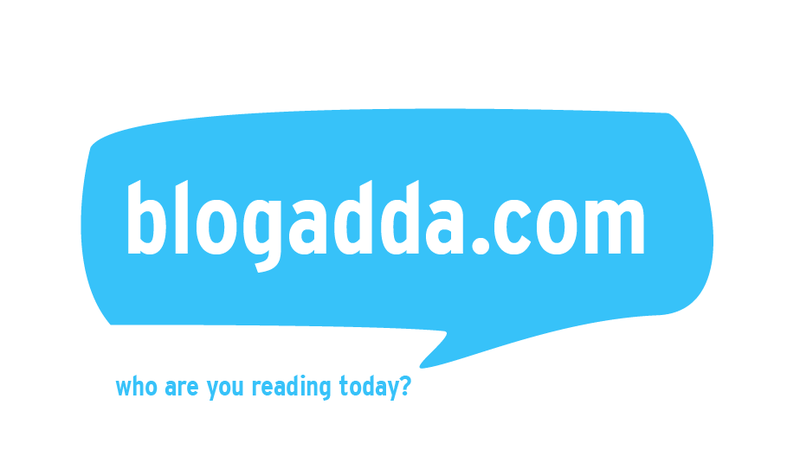 The book also has information on the TV channels. That is really good coz more often than not, when switching on a TV, I end up crawling so many channels, before getting hold of one, in a language I know! I was just happy to see what number I should hit on the remote to get to English channels!!!! Its a pet friendly hotel as well! And on all weekdays there's a 2 hr tour of Brugge with the inhouse guide! Personalizations at their best!!! I think that's the differentiating factor between corporate run & family run hotels!!! 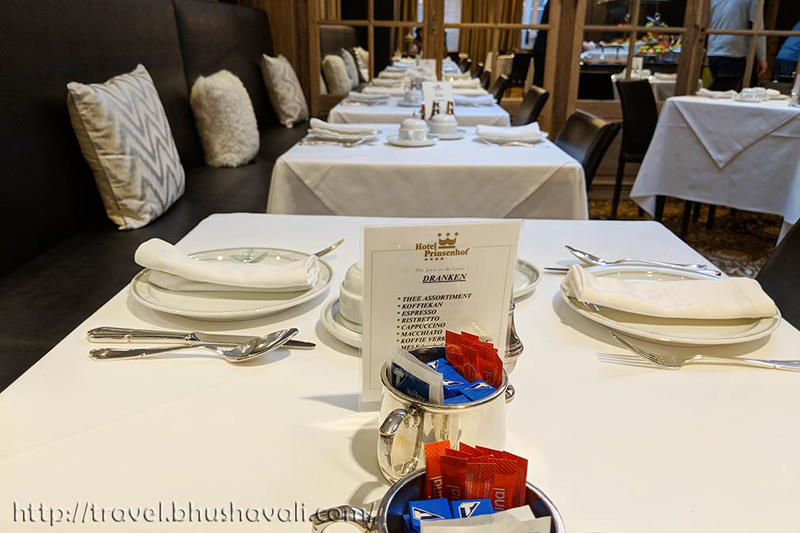 True to any heritage hotel, though there are 3 different rooms categories (deluxe, superior, classic), the rooms aren't an exact copy of each other. The size & facilities within a category are similar but not same. The interiors have been done tastefully and unique in every room. I esp., liked the ones that have the multicolored floral wallpaper and matching colorful cushions. All rooms have heaters and air conditioners. There are 10 each of Classic & Superior rooms and 4 Deluxe rooms. There is a fireplace in the lobby which today serves as a decorated waiting area! The superior & deluxe rooms have an inbuilt bathtub Jacuzzi. After roaming the whole day in this splendid, historic city, plus being a mom, this was my much needed place to be... It was just too good!!! A unique feature that I haven't seen in any other hotel is, in some rooms, the bathroom & toilet are separate which makes a lot of sense! Some rooms in the topmost floor have an interesting pent house feel with sloping roof & skylit windows. There is no gym or sauna or pool in the property. However, the expansion of 2011, did help to add a bar and breakfast room. There is also a small meeting room that could accommodate upto 25 persons. The hotel doesn't have a restaurant within per se, but there is a fantastic breakfast buffet available. Best part? When I informed I was a veggie, I was particularly taken care of, with soya milk, hummus etc. 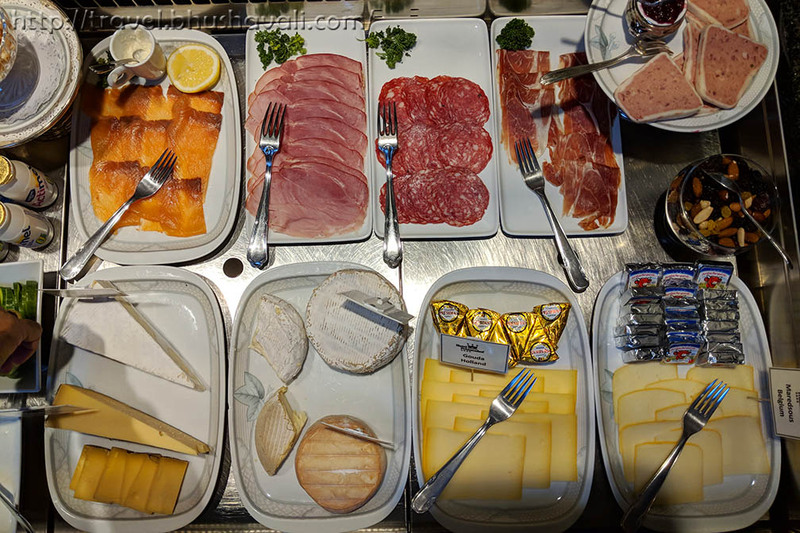 The variety of cheese was just awesome. How about beginning you day with a glass of champagne? 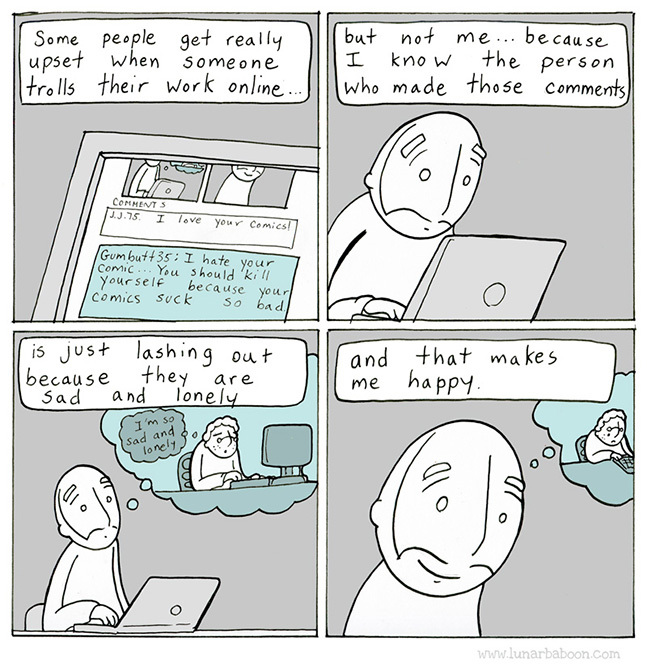 That's possible too! For the sweet tooth are quite a few options, incl the Ghent Cuburdons! However the breakfast is not complimentary or inclusive in the room rates and guests will have to pay extra for the breakfast. The bar looks very classic and minimalistic with interesting lightings! Though it located very close to the river, the hotel doesn't really have a river view. But from the top floor lobby windows (terrace is not accessible), there's a partial city view from where both Belfry and Church of Our Lady are visible. The toiletries are the luxurious Fragonard Brand which were meticulously replaced / added everyday by the housekeeping team. Shaving & Dental kits are available on request. 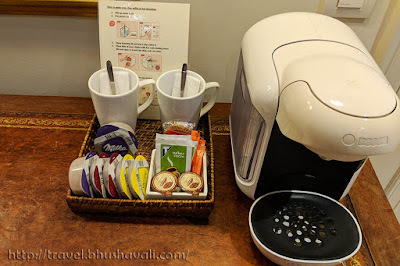 There's a minibar, coffee maker with coffee, tea and hot chocolate, hair dryer, safe, bathrobe, bath slippers in the rooms. When you're in Belgium, obviously you gotta eat chocolate. The housekeeping staff leave a few chocolates here & there, in the room, everyday after cleaning it! Room rates begin at €130 for classic double rooms. 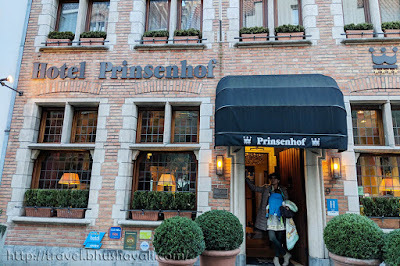 P.S: I was invited by Hotel Prinsenhof to stay and experience it for review purpose, however the opinions are my own and this post does not to advertise the product/service. This sounds like a really lovely hotel when in Brugge. I like the in-built bathroom jacuzzi, I know I would spend a lot of time in there! Good to know about the personalised wi-fi too, that's a really nice touch! You were very brave taking Atyudarini but lovely that she enjoyed it too. Looks like a great hotel so thank you for the information. If I'm in Bruge I know where to stay! Love boutique type hotels too, especially the ones with some history to it. It is so nice that they provided a crib. I know the importance of having your kid sleep well. It makes for a very fun day as they aren't cranky. The hotel is also decent priced so I'll definitely keep it in mind for next time. Also a big sucker for heritage hotels here – it sounds like Prinsenhof Hotel in Brugge was an incredible introduction to hotel stays with the new baby (congrats btw!). 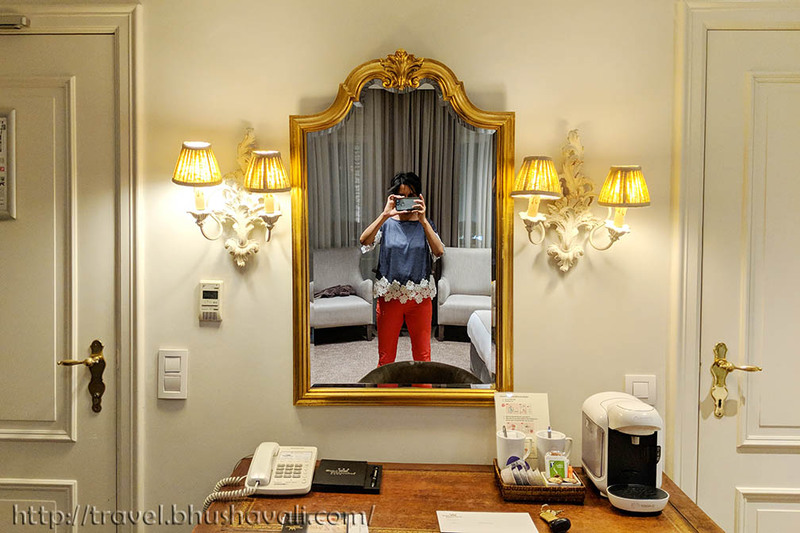 Mr.Thierry sounds like a fabulous host, the attention to details and little personalizations are the things which take a great hotel to an exceptional hotel in my book. 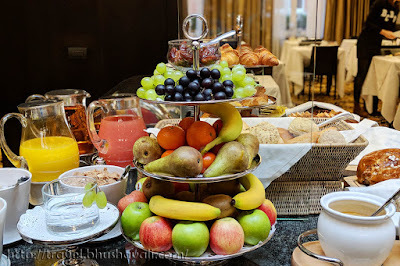 The breakfast buffet looks delicious - and it's fabulous that they took such good care towards your dietary needs. Thanks for the review! I really like hotels like these oozing with character. The place looks great from your photographs. The meat and cheese breakfast buffet is also calling out to the carnivore in me. First of all, congrats for your baby girl! May everything goes smoothly! And its great that you keep travelling! 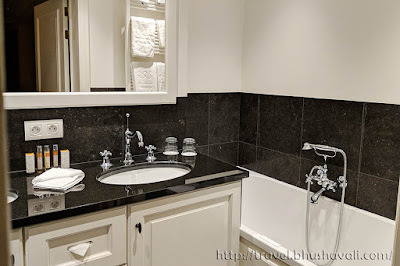 I have heard a lot of great thing about Brugge so I have it on my list so its good to know a bit where to stay for a small family like ours. The heritage Prinsenhof hotel looks very nice and very special and I can definitely see ourself spending some good nights there! We will surely use their guided tour service! Ohhhh if the walls could talk, imagine the stories and tales it could share tracing back to the 1930's! The Pinsenhof Hotel looks gorgeous, and I love that it has a heritage history. The breakfast selection does look great, and good to know that they were very accommodating to the fact that you are veggie. Hope it all went smoothly with your gorgeous baby girl! Hotel Prinsenhof sounds and looks like such a loveky looking hotel. l definitely would consider staying here next time im in Brugge. Especially as I'm a huge fan of good hotel breakfasts. Btw congratulations on becoming a mum too. 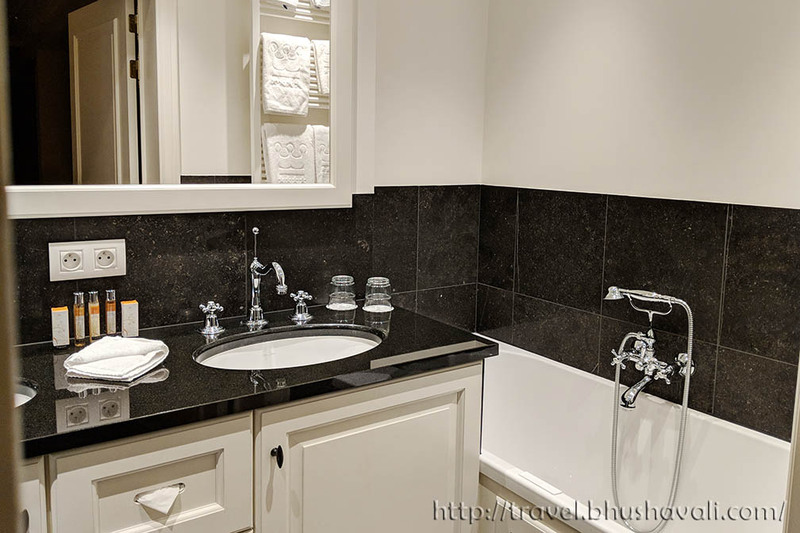 gorgeous looking hotel - particularly the bathroom! IT looks like a really good place to stay. Congratulations for being a Mother now. 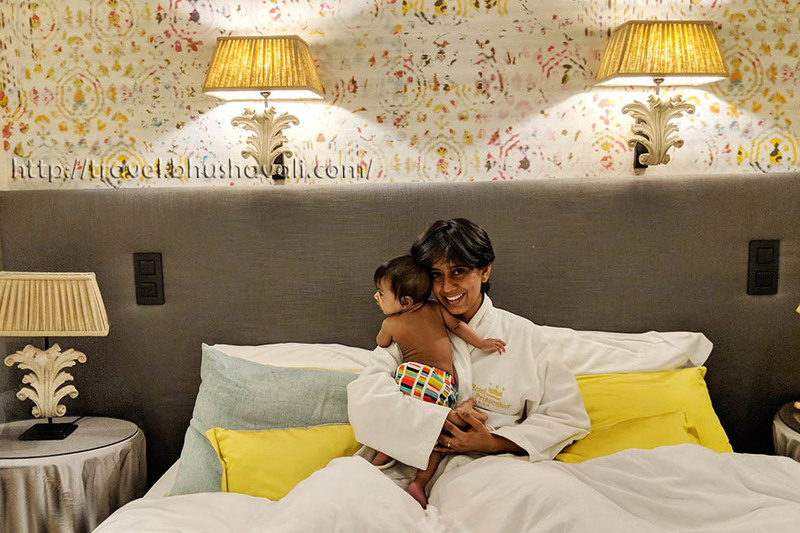 I am so delighted to know that you had traveled with your baby and stayed at the perfect heritage hotel. And I know that u love heritage properties from your previous posts. What I loved about the property is the small things like personal note, weather report and going extra miles to make the guest comfortable. I would love to experience it myself someday. Thats a quaint heritage hotel, which has definitely caught my fascination. The practice of giving every guest a personalised welcome card, and an unique wifi password, shows how much importance the hotel gives to customer experience. The food looks absolutely yummy and sumptuous. Such a sweet, adorable place to stay! Love the little special amenities. Seems like they thought of everything with the details. Looks like you guys are enjoying yourselves! Wow, this is such a great Hotel. I love the room cause it looks very spacious and very clean. The food looks very luscious and would love to try them all. I just love the home vibes of it. Thank you so much for sharing this with us. The room looks very cozy and the spread on the buffet is so inviting! Oh would I love to stay here! Looks right up my alley. I love a good heritage hotel too. I don't need a gym as long as there's a bar. And the food looks delicious! BTW didn't realize you were a new Mum congrats!! Congratulations on the baby! 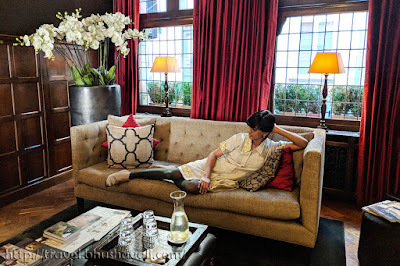 Bruges is one of my favorite cities and I also love heritage hotels. This one looks amazing. I love the weather report daily and the breakfast spread. I would definitely consider staying here the next time I am in Bruges. I love heritage hotels too for the same reasons you've stated. I love old buildings and learning about their history. This one looks like the perfect place to stay in Bruges. And if it gets the baby's approval, then I am sure it will anyone's! The Prinsenhof Hotel looks so nice and stylish! I love the nice decor and accessories! So glad to read you're little baby slept with no problems! I bet it wouldn't be fun travelling at night! The breakfast also looks big and fresh! If I will ever visit Bruges ill definitely consider staying at this hotel! What a lovely hotel. I can see why you enjoyed it and it's so awesome that the little one loved it as well. The breakfast sounded wonderful and awesome they could accommodate your eating needs. Our trip to Bruges was a day trip from Brussels so we didn't really stay there. But staying in a heritage hotel like the Prinsenhof Hotel must be one of its kind of experience. It was very sweet of them to arrange for a crib that must have been a great relief. 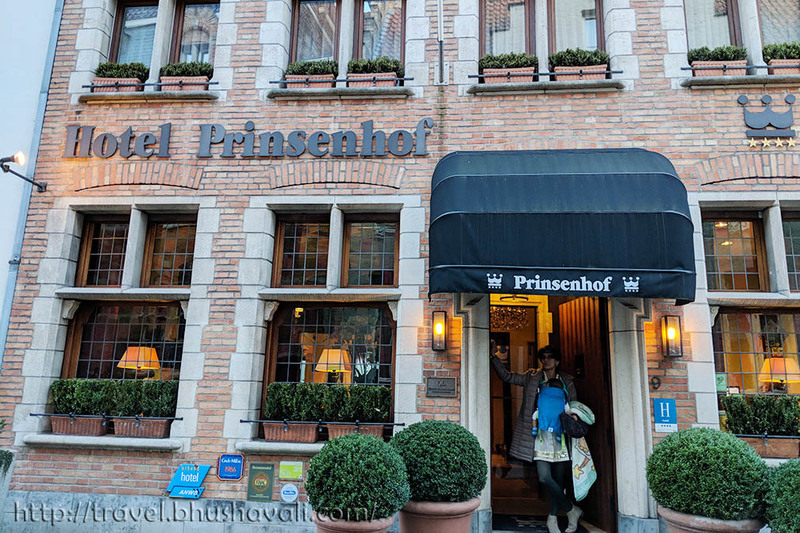 Hotel Prinsenhof is really a cozy and comfortable stay option in Bruges. As it is a heritage hotel and ran by family, this hotel looks very homely. 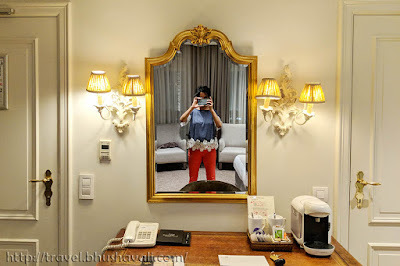 I loved the decor of rooms, main lobby where there are red couches and the main entrance. Separate toilet and bathrooms in some rooms sounds good and practical too. I loved how early your baby is getting used to travel. Its great to see you travelling with Atyu for a beautiful stay.